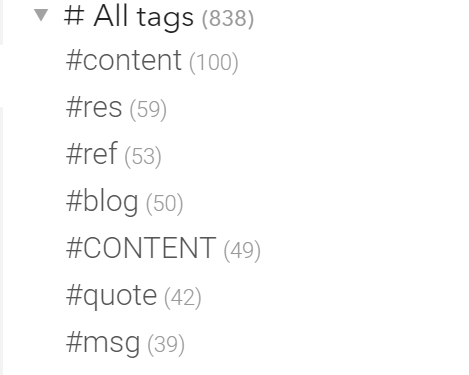 You mentioned “can’t rename tags anymore”, so it used to work for you before? Did something change? Like did you install any new add-ons? From our end, we didn’t make changes to this recently, and from my brief testing it seems to work. I see in the screenshot “DEADLINE” seems to be selected, was that automatically selected by the browser? I can reproduce this, but for me it only happens for tags listed under # All Tags! It does, however, work like expected for all tags under # Document tags. Since posting my query I have found the same. A rename tag function across all documents would be handy but I can work within this limitation. Thanks for getting back to me and thanks for your work on Dynalist. It is the centre of my working universe and I couldn’t live without it now, I think. Yeah, that’s what’s happening. 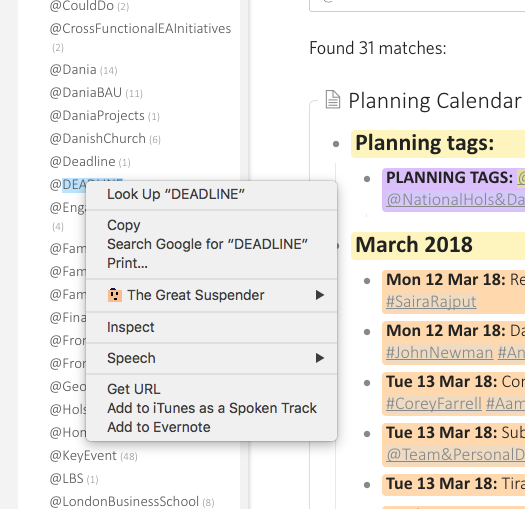 Renaming currently only works on document-level tags, sorry about that! And thanks @Lukas for being awesome again! Any plans on fixing this? Isn’t ability to rename all tags the priority? Although easy to implement for us, renaming potentially thousands occurrences through all your documents is quite risky. The undo/redo model we have right now only works reliably within a document. I understand the need to rename tags across all, making sure the process is undoable is also an important part. Sorry about the delay! Sure, just to add some context - this is what I’m dealing with. Coming from Workflowy, which ignored Case. There are many of these duplicated throughout the 838. It’s honestly made tags pretty redundant in DL (luckily, I hardly used them). While I’m at it - is there any way to sort alphabetically? Ah, that was obvious, thanks! 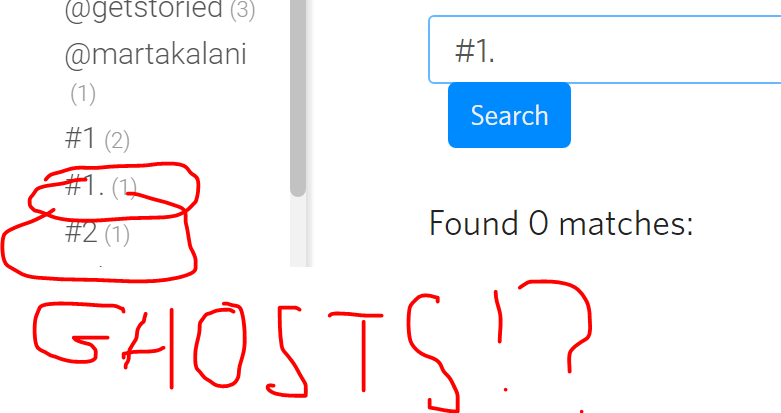 Most likely these ghosts are hidden by some filter (e.g. hidden because they’re checked). Is that the case for you? I’m sorry, I don’t know what you mean. Try changing your checked items to “show” and try again. Like this: Incorrect Tag Counts? Oh right you are, yes they were hidden.